When I was planning my career break, a friend of mine suggested I write down everything I wanted to achieve during my time away from the 9-5 (or 6, 9, 11) routine. Brilliant idea and one I’d really recommend – it really helped me capture everything that was swirling around in my head. So, here’s what I committed to paper back in February. Comments and feedback welcome! Build this website and build up a following for it. In doing so, I’ll learn WordPress software (eek!) and improve my online and digital skills – search engine optimisation (SEO), social media and more. I’ll also build some income from my web ventures, either directly or through associated work, though this isn’t a primary objective. I’ll approach it like a business. Spend at least a month in a Spanish-speaking country, and improve my Spanish to at least A Level Standard. I’ll also practice closer to home through Meetup groups. Do some volunteer work, focusing on marketing / campaigns / fundraising / events. I want to use my skills to (cliché alert) give something back. Grow my network in all things “career break”. This’ll take a while, but my network will include readers, journalists, contacts in the travel industry, HR professionals and legislation-makers, fellow language learners, other bloggers and writers. Find myself a decent “glass half full” boyfriend who has a good sense of self, friends, and interests. Not a “bless him”, but not an a-hole either. I’m convinced he exists. Somewhere. Explore alternative options to earn some passive income in the medium- to long-term. Do some general up-keep on my house: paint my kitchen, paint and re-grout my bathroom (dullsville but necessary), frame the pictures that have been sat there for 18 months, that kinda thing. 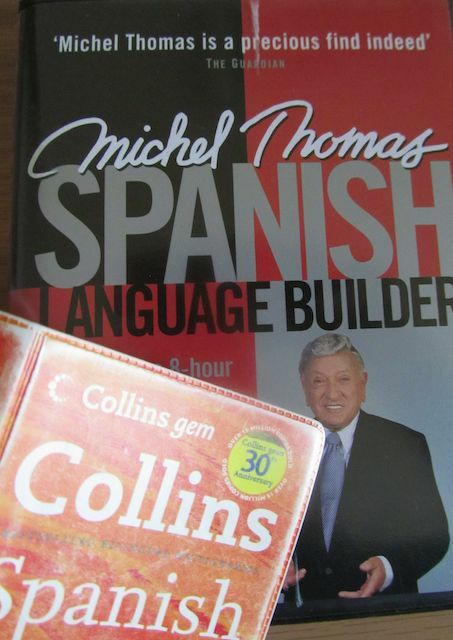 To do a one-month CELTA course to make me a qualified teacher of English as a foreign language. So there you have it, a pretty busy 2014/early 2015! More in the pipeline for the future too, and I’ll be looking back over the coming months to see what’s evolved and where I’ve got to. Have you set yourself aims and objectives for your career break? Have you found it helpful to have a plan? Or do you prefer not to have one? Share your thoughts and experiences below. How did your goals end up? I’m working on the language thing as well (but Portuguese)… Tougher than I had thought! You’re so right that the language thing is tough … I did manage to spend a couple of months in Nicaragua which helped enormously, but haven’t practiced anywhere near as much as I should since getting back to the UK in March. My goals all went pretty well (hurrah!) – apart from finding a boyfriend. I did meet someone though, which is half the battle 🙂 You’ve reminded me I really should do a full post about how my goals panned out – thank you! Best of luck with the Portuguese. A good excuse for a trip to Portugal or Brazil? ?